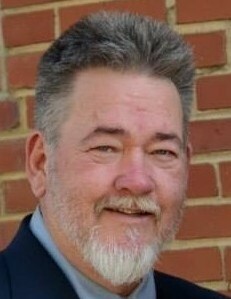 Joseph K. Werner, Jr., age 63, of Sanford, NC, passed away on Wednesday, March 20, 2019 at Central Harnett Hospital. He was born in California on October 30, 1955, to the late Joseph K. Werner, Sr. and Hazel Finchum Gunter. Joe worked for many years in the textile industry as a Safety Manager. He also enjoyed driving for COLTS in Lee County where he was able to meet new friends on a daily basis. Joe was also active with Wake County REDS Team and Dunn STAR Team. These teams specialize in technical rescue operations while providing a wide variety of rescue response and specialized professional training. He was also a Mason. He is survived by a daughter, Angel Myatt and husband, Danny of Spring Lake and two grandchildren, Peyton Thomas and Brock Thomas. A memorial service will be held on Friday, March 29, 2019 at 3:00 PM in the chapel of Bridges-Cameron Funeral Home.